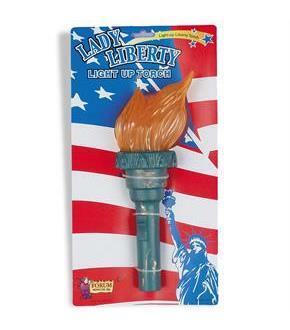 Includes: (1) hard, plastic, light-up Statue of Liberty torch. 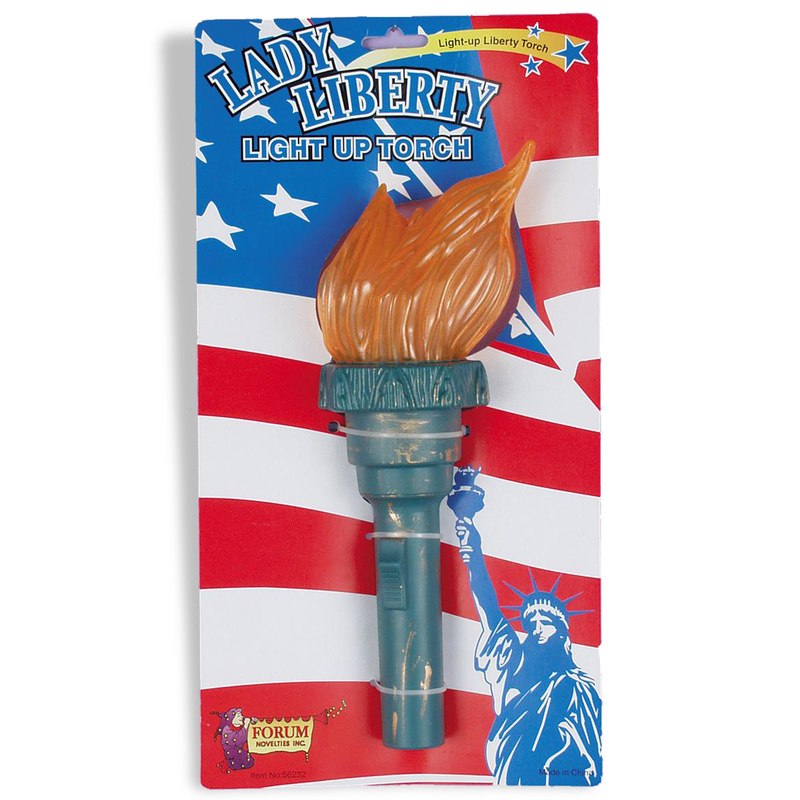 Measures approximately 12"L from tip of flame to bottom. Uses (2) C batteries (NOT included).